The 35CE cord extender features a slim connector ideal for fitting through small headphone jack openings found on protective cases used with smartphones and tablets. Stereo headphones with a 3.5 mm plug (TRS) and headsets with a 3.5 mm plug (TRRS) can use this cord extender to connect to smartphones, tablets or laptops. 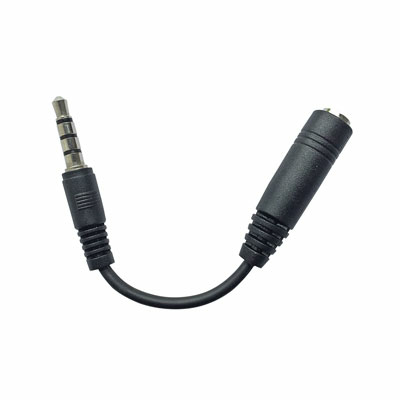 The flexibility of the 35CE cord extender helps to prevent the headphone plug from breaking off inside the headphone jack; it relieves stress on the headphone plug by disconnecting from it if the cord is accidentally pulled.